To promote long term business relationships between Japan and Finland by consultation and research as well as with ​standardisation efforts in selected areas. Wide leadership experience both in academia and industry. 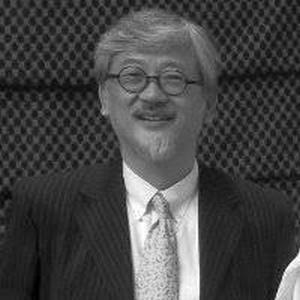 Dr. Kohno is a Professor of the Yokohama National University, and a director of Center of Medical Information and Communication Technology. He was a director of Advanced Telecommunications Laboratory of SONY CSL 1998-2002 and a director of UWB Technology institute of National Institute of Information and Communications Technology (NICT) 2002-2005. He was nominated a Finnish Distinguished Professor (FiDiPro) in 2007. World class antenna design and radio communications expert, Dr. Sonkki maintains ties to businesses and research institutions in Finland, and participates in providing services in Japan. He has also excellent international collaboration networks in Spain and Germany. High expertise in Ultra-Wide-Band radio communications technologies enables Dr. Kobayashi to tackle demanding challenges in the domains of industrial wireless machine-to-machine communications, and human body area networking. A seasoned business professional, Mr. Kouhia’s background includes companies such as Nokia, Stonesoft, Hitachi Cable, and Ekahau. He moved from Finland to Japan in the beginning of 1990’s.